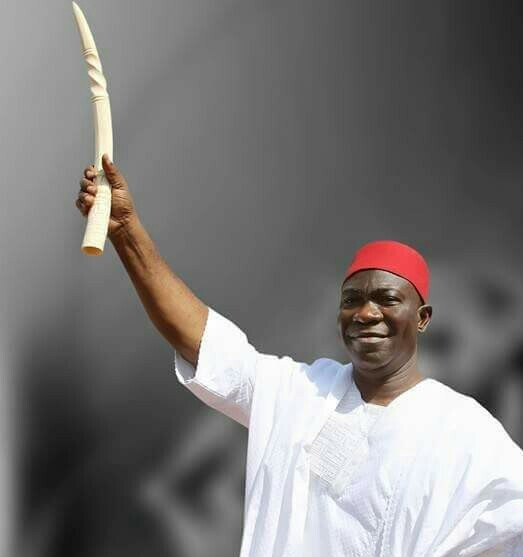 Deputy President of the Senate, Senator Ike Ekweremadu, has urged those in power not to use the law as an instrument to “bludgeon innocent citizens into submitting to the untamed wishes and caprices of witch-hunters”. According to him, his trial would afford Nigerians to see clearly that the charges preferred against him were “nothing but meretricious thrash”, adding that democracy was not military rule. Special Adviser (Media and Publicity) to the Deputy President of the Senate, Uche Anichukwu, said his Principal made the statement on Monday shortly after his appearance in court over purported forgery of Senate Standing Orders. The statement read, “in an unveiled declaration of his innocence and certainty of victory over his persecutors, he said: “For me, I find great comfort in the immortal words of late Dr. Nnamdi Azikiwe who said that history will vindicate the just and the wicked will not go unpunished”. “Insisting that his trial is political and puts democracy in grave danger, he further said: “Let us make no mistake about this: it is not Senator Ike Ekweremadu or Senator Bukola Saraki or the other accused persons that are on trial; rather the hallowed democratic principles of separation of powers, rule of law, the legislature, and indeed democracy itself are on a ridiculous trial. “Mere anarchy is unleashed upon the land, but our courage must not fall apart. No condition is permanent and nothing lasts forever”. The Deputy President of the Senate said as a law-abiding citizen and a firm believer in the rule of law and all the rights and privileges it advertises, “it is only in my place not to commit crime, but way out of my reach not to be accused of one, especially when instruments of power become apparatuses for oppression of the innocent and voices of opposition”. He added: “Indeed, I, in no way or fashion, claim to be above the law, just that I believe that the law should not be used as an instrument to bludgeon innocent citizens into submitting to the untamed wishes and caprices of witch-hunters. “However, I put my trust in God, the court, and the overwhelming solidarity of the good people of Nigeria. When the dust settles, Nigerians will see clearly that this charge is nothing but meretricious thrash. Time, occasions, and provocations like this will teach their own lessons. “I hope that one chief lesson will be that democracy differs markedly from military rule and that public officer should never subvert the foundations of democracy by prioritizing the rule of man over the rule of law”.